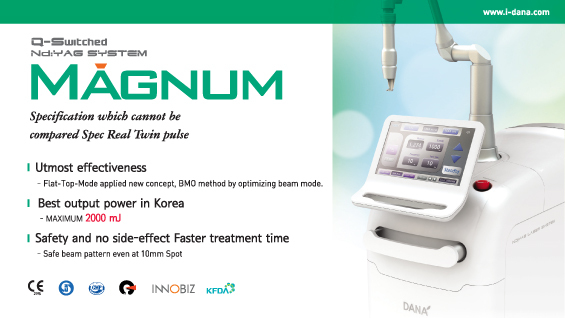 In Korea, the interest in thread lift began with the introduction of bidirectional barbed thread named APTOS developed by a Russian plastic surgeon called Sulamanidze in the 1990s. The name APTOS was coined based on “Anti Ptosis” and APTOS was the very first suture material developed solely for use in non-invasive lift procedures (Image 1). When inserted, the cogs on the thread attach to the tissue and provide a better lift. When first introduced in Korea, the APTOS thread was a small sensation as it did not require incision but provided a more effective pull compared to traditional threads. I was first introduced to thread lift using APTOS at a seminar held in a hospital in Bundang (satellite city to Seoul). However, as with the first introduction of botulinum toxin, many doctors were still skeptical of how APTOS thread can in fact provide effective lift without incision. Additionally, APTOS was very costly at the time and some plastic surgeons chose to manually create barbs on nylon suture threads, claiming the effect would be similar. As APTOS became more famous, peddlers started going around selling tools for manually creating barbs on nylon thread. Obviously at the time, no one really knew about the importance of the number, shape, angle, and tensile strength of the barbs and other important variables affecting the pull on the tissue. Thinking back on those days, I feel we live in a completely different world now where we can choose from a wide variety of imported and domestic suture materials. The manually created barbs, whether on absorbable or non-absorbable threads, had irregular shapes and angles and quickly lost the tension or easily broke where the tip of the thread would be exposed. However, today’s barbed threads are machine produced with consistent angle, shape and tensile strength and can bring consistent outcomes when placed correctly. APTOS thread was usually inserted from preauricular or hairline sites and exited through nasolabial groove or perioral area. This technique is typical to bidirectional barbed thread where the mid-thread was used to pull subcutaneous tissues at both ends of the thread (Image 2). The mid-point of a bidirectional thread is pulled to create an apple cheek (considered attractive in Caucasians) and pull the skin. However, this technique was not suitable in Asians with common malar eminence as it resulted in heightened protrusion of the cheekbone which is considered unattractive in Asians (Image 3). Despite the initial hype around the APTOS thread, it quickly fell out of favor due to the exorbitant cost, short-lived effects and its suitability in Caucasian facial anatomy. In addition, there were various problems of APTOS thread not being suitable for Korean facial structure, frequent exposures of the thread. Many new threads improving upon the drawbacks of APTOS were developed in the next few years. Quill lift was one of the new threads imported in Korea. It had a long cogless segment in the middle and was inserted in the U-shape. EZ lift, the first Korean bidirectional cogged thread, followed suit. This led to a lot of research and discussion on thread lift techniques suitable for lifting the lower face in Koreans. This is when I became more interested in thread lift.